Living in North Lakeland FL is all about conveniece – with its excellent location, proximity to schools, hospitals, shopping malls, dining and recreation, as well as easy access to major highways and the interstate. Lakeland Florida also provides you with affordable living at its finest. Many people are buying homes in North Lakeland because of its different neighborhoods which have their own distinct characteristics that are as diverse as its residents. Anyone could feel comfortable enough to call North Lakeland their home. We will be providing you with more information on the different neighborhoods and subdivisions in North Lakeland in the next few weeks. If you are traveling west via Interstate 4, you could reach North Lakeland by taking exit 33. You will be greeted by the stunning view of Lake Gibson, which covers almost 490 acres. If you want to go boating or enjoy some water sports, public access to the lake is available on the southeast shore. One of the main attractions in North Lakeland are itspublic and private golf courses such as the Sandpiper Golf course off North Socrum Loop, Huntington Hills Golf Course located off Duff Road on the northwest part of North Lakeland, Wedgewood Golf Course located between US 98 North and Lake Gibson, and the Golf Club at Bridgewater, on the northeast side of Lakeland. North Lakeland is a great place for seniors to enjoy their retirement. Families raising children will also enjoy many recreational activities in North Lakeland such as tennis, football and soccer at Lake Parker Park and Hunt Fountain Park. These parks also offer nice playgrounds for kids and the perfect setting for family picnics and weekend gatherings. Lakeland Florida is home to various health care facilities and practictioners. The Watson Clinic and its cancer research center and the Lakeland Regional Medical Center with its Cancer Center are within easy access to the residents of North Lakeland Florida. These facilities provide the most technologically advanced services currently available in the market. 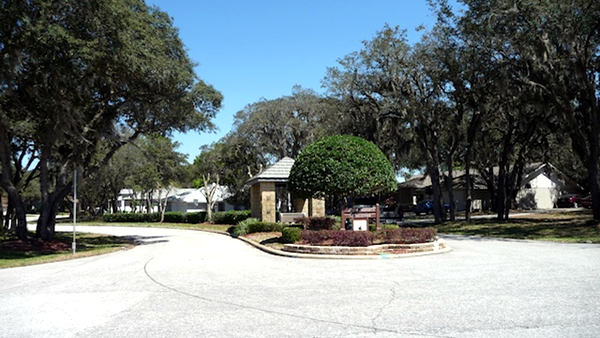 There are a variety of communities with homes for sale in Lakeland Florida, from gated communitIes, open communities, golf communities, deed-restricted and non-deed restricted communities and adult communities. There are also a variety of homes in North Lakeland FL such as lake front and manufactured homes in the following zip codes: 33805, 33809, 33810.